On the morning of Tuesday, February 9, 1960, Adolph "Ad" Coors III, the 44-year-old CEO of the multimillion-dollar Colorado beer empire, stepped into his car and headed for the brewery twelve miles away. At a bridge he stopped to help a man in a yellow Mercury sedan. On the back seat lay handcuffs and leg irons. The glove box held a ransom note ready to be mailed. His coat pocket shielded a loaded pistol. What happened next set off the largest U.S. manhunt since the Lindbergh kidnapping. State and local authorities, along with the FBI personally spearheaded by its director J. Edgar Hoover, burst into action attempting to locate Ad and his kidnapper. The dragnet spanned a continent. All the while, Ad's grief-stricken wife and children waited, tormented by the unrelenting silence. 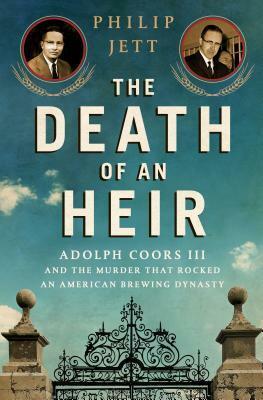 The Death of an Heir reveals the true story behind the tragic murder of Colorado's favorite son.